Poga had one goal and one assist in the 2014 World Cup. French midfielder Paul Pogba wasn’t able to help his team advance to Sunday’s World Cup title match, but the 21-year-old rising superstar was impressive enough in Brazil to spark a global bidding war and haul in his share of post-tournament accolades. Pogba scored one goal, recorded one assist and completed over 80 percent of his passes in five World Cup matches before France was eliminated in the quarterfinals by eventual finalist Germany. For his efforts, Pogba was named to the Team of the Tournament picked by former English national team star and soccer columnist Michael Owen. Pogba was slotted in the center midfield position, flanked by Colombia’s breakout star James Rodriguez and Argentina’s Javier Mascherano, whose team will face Germany for the championship. Argentine striker Lionel Messi and German goalie Manuel Neuer were also among those on the team. Regarding his professional future, Pogba, a practicing Muslim, is one of the hottest free agents on the market this side of LeBron James. This past season Pogba helped Juventus (Spain) to its third straight La Liga championship, and now he is reportedly being targeted by international powerhouses like Real Madrid (Spain), Manchester United (England) and Chelsea (England). 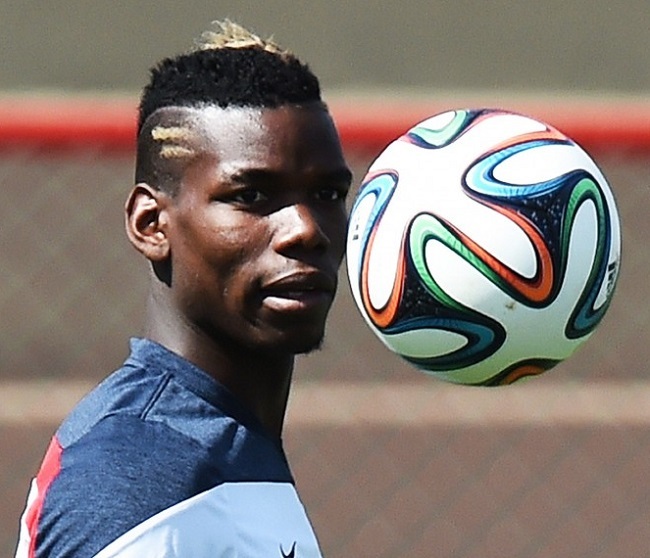 Pogba could command a transfer fee of more than $100 million.